This was a phenomenal March by any standards, with a 10%+ return for the month. 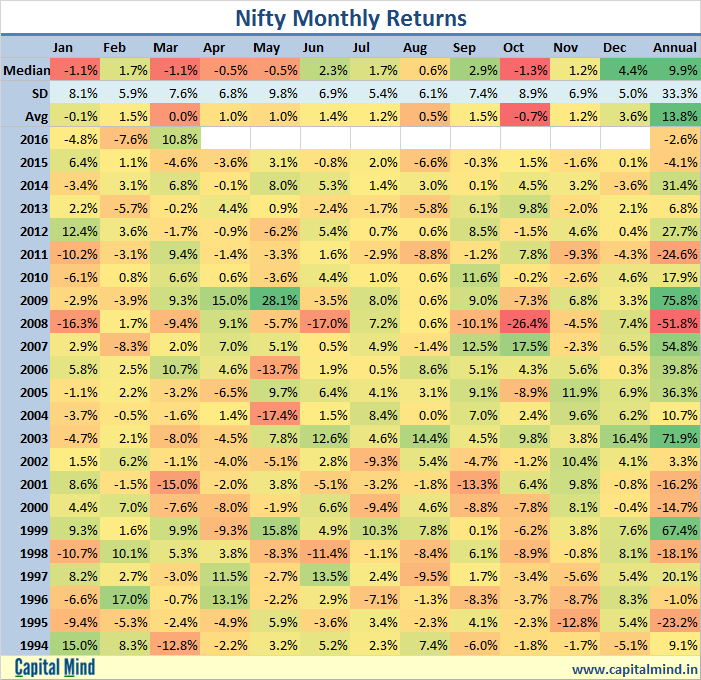 That’s the second highest that the Nifty has ever seen in March, just ahead of the 10.7% in 2006. 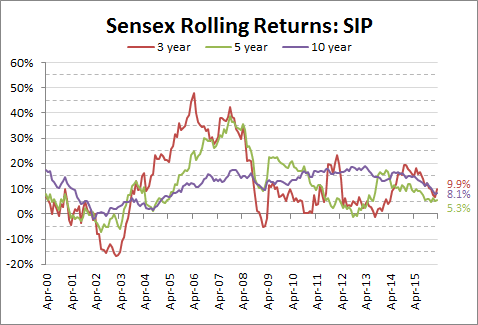 If you had done a regular investment in the Sensex you would get 9.9% annualized returns on your money for a three year term. But even the five year term is now just 8.1%, and the ten year term is abysmal at 5.3%. 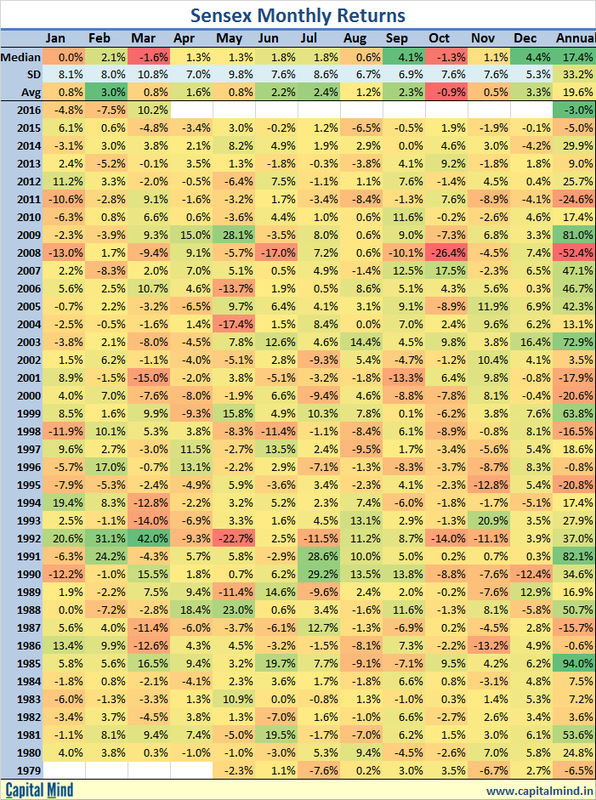 Sure some mutual funds have done better – and you should consider a 2% dividend yield that would have juiced up your returns too, but these numbers are way below the “historical” growth numbers that show that equities have made us 18% returns. It’s time to accept and live with a lower yield on both fixed deposits and equities, perhaps?